Some pretty interesting news has come out about a tweet by John Mueller on September 5, 2018. In the tweet, John states he doesn’t see “a problem with” copying and pasting reviews from Google My Business listings and Yelp. This is big news because, up to now, most web developers have thought that would lead to a duplicate content issue. So, this is good news! But, we need to be careful how it’s interpreted. 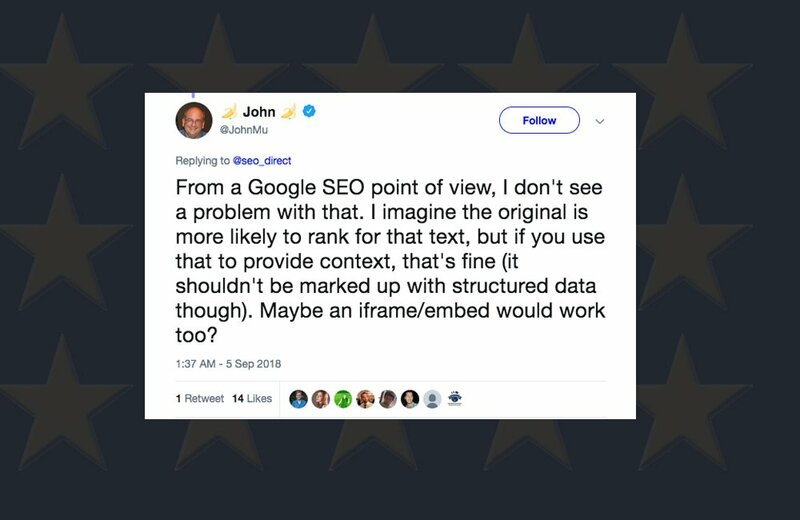 In John’s tweet, he says “it shouldn’t be marked up with structured data.” This is important. What this means is, we cannot copy/paste those existing reviews into the review schema that Google uses to generate the star ratings in search engine results. This is where I see some confusion about this tweet. According to their guidelines, review schema is strictly for reviews generated on a specific page of your site that identifies a service or product you offer. That has not changed. So, don’t let anyone tell you that it has. Contact me for further guidance on adding review schema markup to your site. 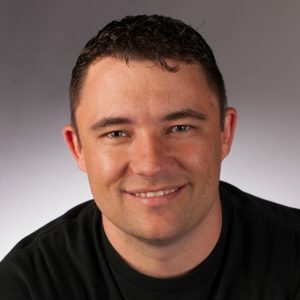 John mentions using an iframe or embedding the reviews on your page. This is a great suggestion because it tells Google you are clearly referencing the source and not just trying to create a duplicate review. However, it sounds like it would be ok to copy and paste the review and hard-code it onto your web page. Finally, I’d warn that you should only have reviews on the page that relate to the service or product you offer. This is important. Don’t load your page with reviews that don’t all relate to what you do. For instance, if you are a landscaping company that also does grading work, you might have separate pages for the two services. Make sure your reviews align with your services appropriately.